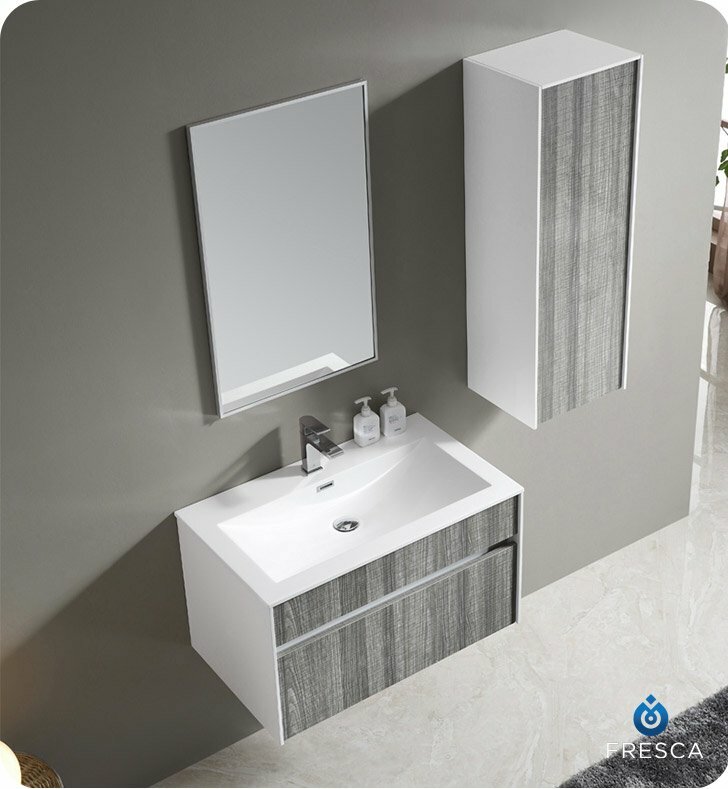 A sleek, urban design and space-saving features combine in the Fresca 32 inch High Gloss Modern Bathroom Vanity. 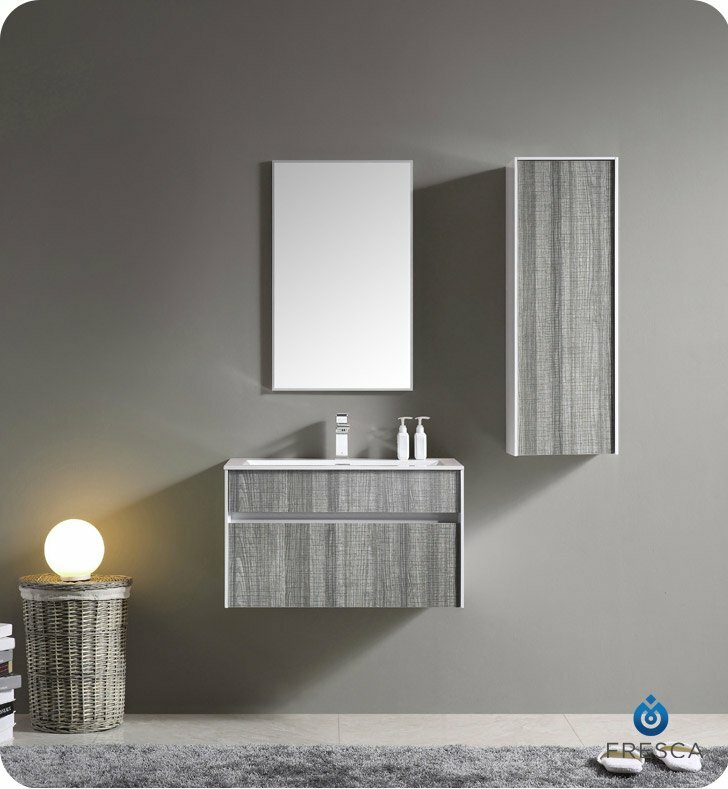 This floating wall-mounted bathroom vanity features the large cupboard with one spacious drawer for storing bathroom essentials. 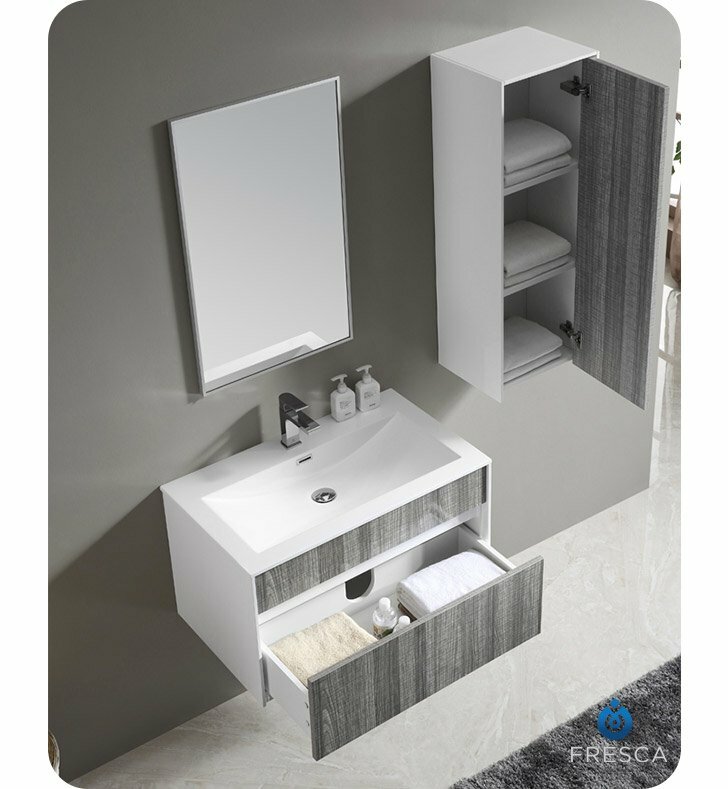 The clean, contemporary lines are enhanced by a crisp white integrated sink and a white and ash gray finish. 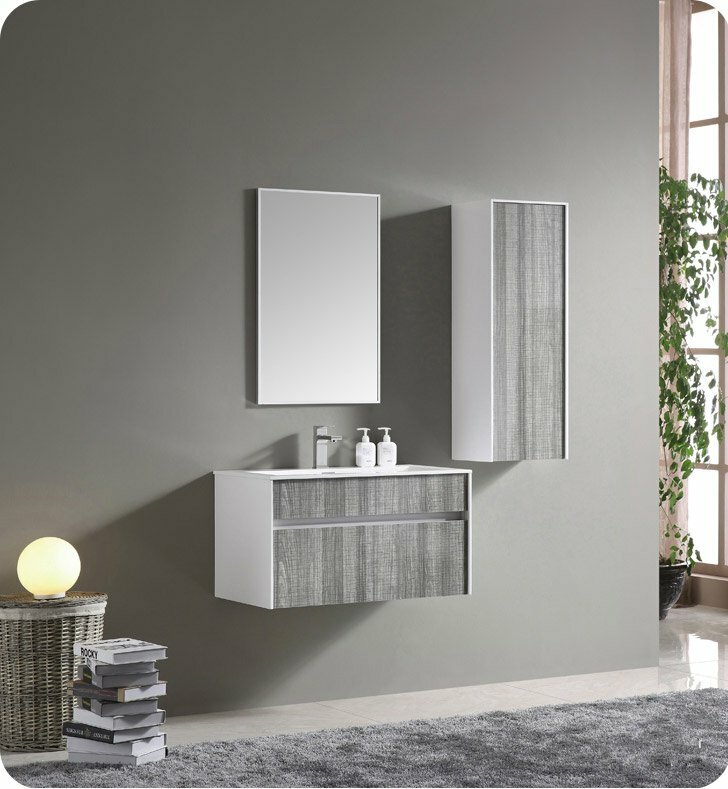 This modern bathroom vanity comes with the faucet of your choice and a matching aluminum framed mirror. Vanity: W 31 1/2" x D 18 7/8" x H 17"
Mirror: W 19 3/4" x D 3/4" x H 31"
IS THIS A SMOOTH FINISH? A. 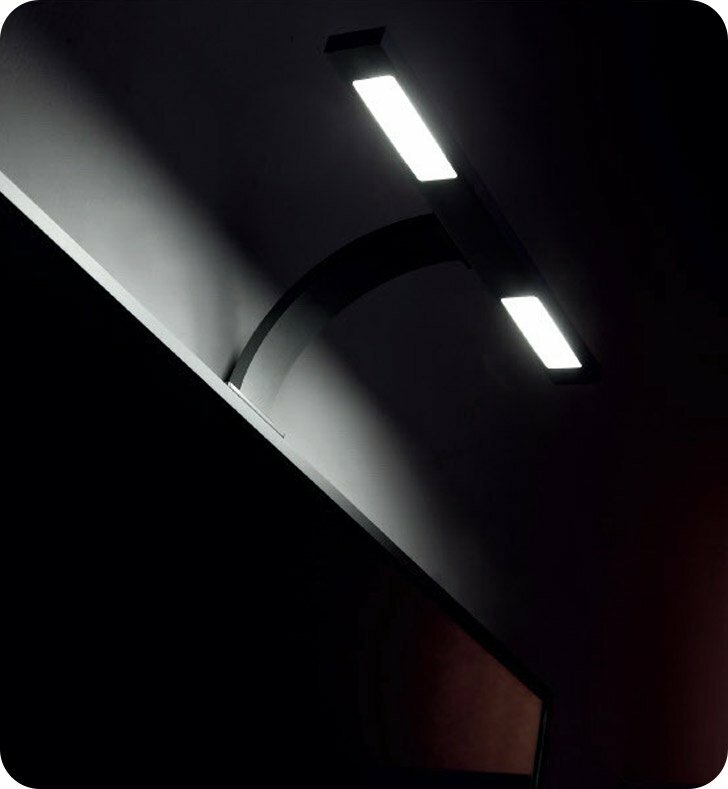 This is correct, this model has a high-gloss smooth finish.